If you’re a manga fan, Frederik Schodt is a name you should know. Not only did the longtime translator and author write the first English-language book about Japanese comics, 1983’s Manga Manga! : The World of Japanese Comics, but he was the interpreter and personal friend of Osamu Tezuka, the comic artist whose smash-hit series like Astro Boy, Black Jack, and Princess Knight formed the blueprint for the modern anime and manga industry. 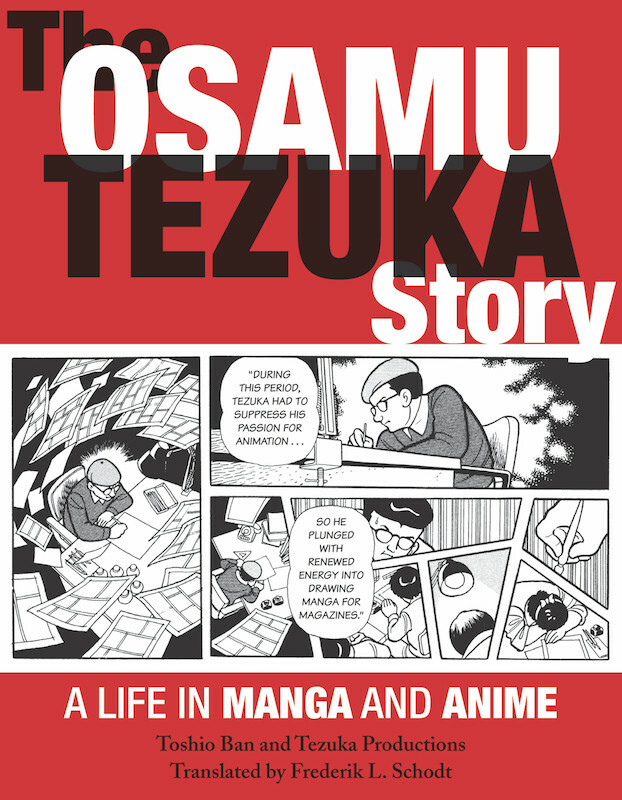 Most recently, Schodt translated Toshio Ban and Tezuka Productions’ massive manga biography of Tezuka, entitled The Osamu Tezuka Story and available from Stone Bridge Press. To celebrate Tezuka’s 89th birthday on November 3 this year, I sat down with Fred at a coffee shop in Oakland, CA to discuss his relationship with manga and with Tezuka himself. He was fresh off a trip to Japan and fighting back jet lag, but happily rattled off memories of his first experiences with manga, the time he spent with Tezuka, and a remarkable run-in with the crown prince of Japan. Enjoy! What brought you to Japan for your most recent trip? I won this huge award. It was huge. It was an amazing lineup. It’s called the Japan Foundation Award. They flew us to Japan and did this big ceremony. I had an audience with the crown prince and princess. 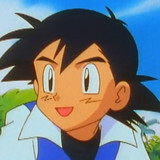 It was for helping to promote popular culture, especially manga. It was something. They flew us to Japan and back, and they put us up in the Hotel Ogura. There are three people who won the award: one is a curator from the Guggenheim named Alexandra Monroe, and then a man from Slovenia, a Doctor Bekeš who started a Japanese language program there, which was very successful. It’s a huge deal. I was blown away. More than I deserved, frankly. They were so generous. Once in a lifetime kind of thing. How did you first get interested in manga? I first went to Japan when I was 15. 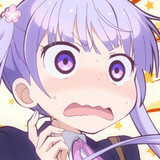 I was in an international school in Tokyo, a very good school in Japan, and I don’t remember manga. I didn’t speak Japanese. Actually they said it wouldn’t do me any good in the future. I studied French. And I was there like two and a half years. Life would have been so much easier if I had studied Japanese when I was 15. On the other hand, if my guidance counselor had said, “oh yeah you should study Japanese,” maybe I would have rebelled and studied French and I’d be, I don’t know, translating bande desinée, who knows? But it was it so weird because I had almost no memory of manga when I lived there between October ‘65 and June or May of ‘68. I think that manga were not as widely read, that’s one thing. And the other thing is that they weren’t visible to me because I didn’t speak Japanese. But even among my friends. I had Japanese friends and I had a lot of American friends who were actually missionary kids — they had grown up in the hinterlands in Japan and gone through the japanese school system until Junior High. And they weren’t reading manga. So it wasn’t like today. And I think partly also maybe at that particular period in history maybe kids who were 17, 18, they didn’t want to be thought of as reading what had been a children’s medium. I think it was just on the verge of breaking through because then I went back to Japan in 1970, and I was enrolled in a Japanese university. That’s when I really stepped on the accelerator in terms of learning the language and I was in this super-intensive course. It was like 8 hours a day in the classroom and then homework. I was in a dorm and I had a few Japanese roommates, and in the dorm, so many of the kids were reading manga. They were reading these big fat weekly manga magazines that were designed for 12-year-old males. And it was kind of like a badge of identity and I often think of it sort of like in the United States where rock-and-roll was a generational ID. I think college students and factory workers, a slightly older age group of young adults, were starting to read manga and they were also reading children’s manga. It was kind of a counterculture. And then of course in the midst of all of these children’s manga there were also very experimental, sophisticated theme manga that a few artists were creating, and they were revolutionary. Sanpei Shirato (above, from Kamui) was huge. And Tezuka of course was competing with everybody because he was intensely competitive so he was also trying to be more experimental and even if he was drawing for children he was doing very experimental stuff as well. So that’s when I really got hooked, in 1970. So I started reading these things for relaxation. I got totally hooked. And it was also a way for me to learn, not only more about the language but the culture. And the more I read the more I was hooked. Oh yeah. To tell people I’m reading this weekly magazine designed for 12-year-old boys. Actually not even 12-year-old boys. 10-year-old boys, probably. What magazines were people reading then? I can tell you that a lot of college students were reading a lot of the shonen magazines, so Shonen Jump, Shonen Magazine, Shonen Champion, Shonen King. And these are all weeklies designed for 10, 11, 12, 13-year-old boys, and college students were just eating this stuff up. And there were avant-garde manga that were aiming at more edgy, more adult stuff, but it wasn’t mainly what college students were reading. Most college students were reading weekly magazines designed for 10, 11, 12, 13-year-old boys. How did you meet Tezuka? When I was living in Tokyo in 1977 I was working as a translator at a company called “Simul” in Tokyo. I had just finished a study program for a year and a half in university, studying translation and interpreting. 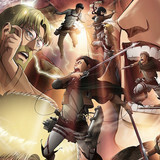 Myself and three friends, my friend Jared Cook and two Japanese, formed a group called Dadakai because we were big fans of manga and we wanted to translate manga and maybe, possibly, introduce them to the outside world because we thought they were just fabulous and everyone should know about manga. And of course we were talking about whose work we should translate, and we were fans of Tezuka. 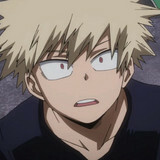 So partly through one of the members, Shinji Sakamoto, I think his brother ... there was some long, tortuous connection, there was a contact. 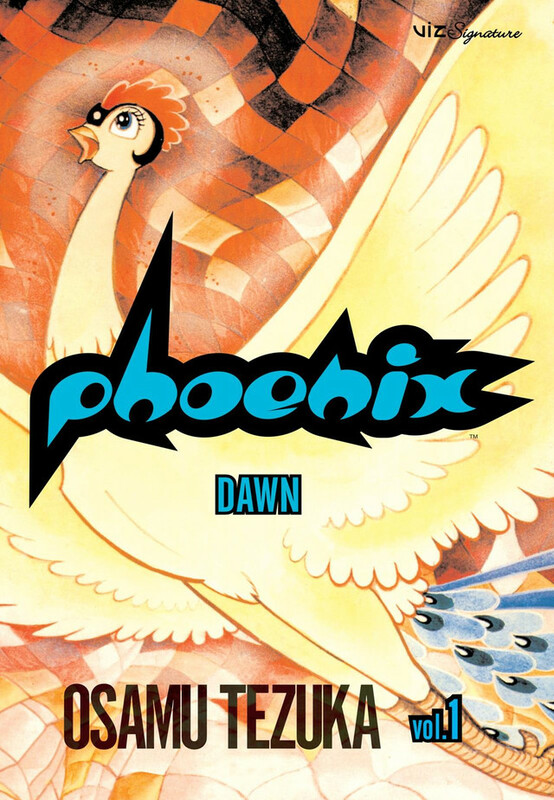 And through that we were able to contact Tezuka productions and we went there to ask if we could translate Phoenix, which was one of our favorite works. We didn’t expect to meet Tezuka, and we met the manager, Mr. Matsutani, who is now the President of Tezuka productions. By the way he gave the introduction at the award ceremony for me in October, which was really an honor. But anyway, as I recall it, when we were talking with Tezuka we were all really young with everything that goes along with that, and I remember that Tezuka just appeared. And it was in his little reception room in his office building where he had all his assistants and editors and everything and it’s quite chaotic, but he had a little reception space in the Japanese sense where it’s a tiny tiny space, a little coffee table, a sofa and chairs. And he came in in the midst of this meeting and he was curious about what we wanted to do and why we wanted to do it. And that’s how I met him. That had a big influence on my life. You could say it changed my life. I was 27 at the time. What was Tezuka’s impression of you? Both Jared and I became quite close to him, and later on when he would come to the United States, either Jared or I would interpret for him. And I took several trips around the United States and to Canada, working as his interpreter, and I also was on some of those trips as kind of a coordinator as well. Sometimes Tezuka would come to LA, he’d come with an entourage kind of thing. He went to the comic convention in San Diego, that kind of thing, so Jared and I would not only help interpret for him, but arrange stuff: transportation, hotels, that kind of thing. Why do you think you two became so close with Tezuka? What did he see in you guys? Well I think one of the main things is language. He had few opportunities to talk with foreigners in Japanese. 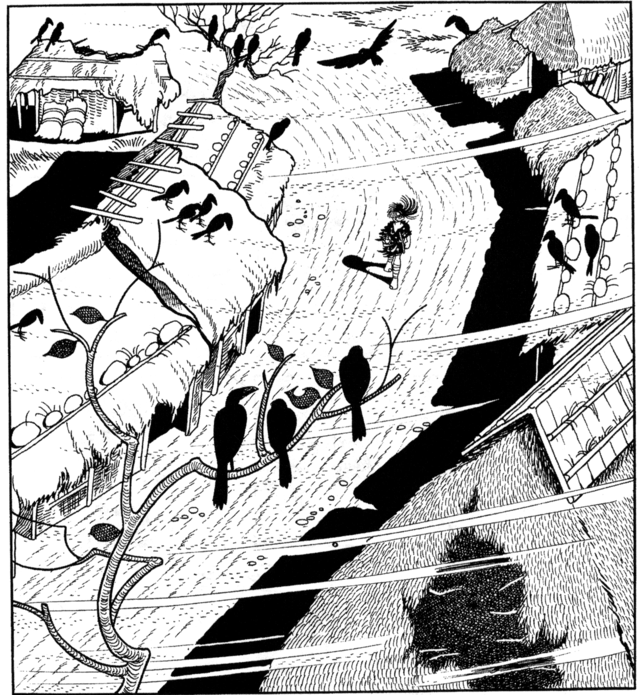 And Tezuka was an intensely curious person, because he was drawing so much. He always needed stories, he always needed information. Because he often had in parallel three or four stories that he was working on. He was like a sponge. He was a real intellectual, kind of unique, differentiated a little from other manga artists in the sense that not only had he gone to college, but he had gone to medical school. He was a licensed physician. He had read German literature, Russian literature, American literature, Japanese literature. He was from a completely different orbit. An anomaly in the industry, and he remains so. So I think he was always interested in what’s going on in the outside world, and I think with Jared and me, since we both spoke Japanese very well, he found some value in a friendship with us. He was very nice to me, I must say. He changed my life. I only knew him from 1977 to when he died in 1989, so a relatively short time. But I often wondered how is it that he had time to even think about some things. Like sometimes he’d send a postcard, or sometimes he’d call, he wanted to know something like, “what do you think about this?” And then he would always say something like “when you going to get married?” Something like that, like a father almost, because he was older than I was. I’ve often wondered how he had time to think about it, or write. I have letters that he wrote, I don’t know how he had time. He also wrote the introduction to Manga Manga, and I have the original because he wrote it in Japanese. It’s interesting to read the introduction because he had a lot of foresight and you could tell that he was thinking way ahead, outside Japan. You also witnessed his legendary work ethic. What was that like? It was crazy. After Tezuka passed away there were so many memorial publications and documentaries. He was so lauded, it was a huge national event in Japan. And then of course inevitably after a certain number of years there’s this “anti-Tezuka movement,” simply because his influence was so great, at some point you have to revolt against him. Some people have said, “how could he possibly have done all that stuff? It’s not possible.” From the standpoint of Americans, they would think nobody could be that productive. You could not draw that amount of stuff. 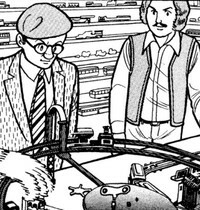 But of course in the case of Americans, they’re usually not aware of the Japanese production system that Tezuka was responsible largely for developing, how that operated. He was like a movie director: He had people who would fill in the bushes in the background, spot the blacks and that kind of thing, but he was in charge, he drew the characters and he broke down the story. He may have had all kinds of assistants drawing the squares on the page for the panels and spotting the blacks and doing background designs and stuff, but it was his work. I went with him to Florida once, he went to Disney World to appear in a documentary for a Japanese TV station. He came with a crew, an entourage, whatever. They were filming. They arrived from Japan and I remember being on the location and they brought their gaffers and their light people and their whole crew. And I remember this one guy’s holding this 10-K light on a tall pole, in those days these big headlights. And I remember this one guy, I’ve never seen this any other time but he actually fell asleep on his feet, because he just hadn’t slept. It was the Japanese work ethic. His knees buckled. And Tezuka also hasn’t slept. That’s just an example of how exhausted everyone was. And in those days that’s the way the Japanese worked, it was nuts. And Tezuka, after all this, he goes back to the hotel, and he has to draw a certain number of pages, because he’s terribly behind on all his deadlines and everything. And I just couldn’t believe it, because I felt like I needed to go to the hospital. I remember I met him in the morning, and he came out and he had been drawing pages, and I’m pretty sure it was from Phoenix, actually. Not only had he drawn the characters; he’d inked the characters, he’d penciled in the dialogue, he’d penciled in all the stuff that his assistants back in Japan had to take care of, and he’d worked after everybody else was nearly dead. He stays up and he’s working, because he only slept three four hours a night, and in those days in Japan that was kind of glorified. Then later they came back from Florida and he’s in San Francisco in the Mark Hopkins hotel and he’s getting behind on his deadlines. The editor, one of the editors from Japan — they actually flew a guy out — locked him in his room to do, in Japan they call it “kanzume” or “canning,” basically caging him in his room until he delivers the pages. Then they flew back to Japan with them. Nowadays they don’t need to do that. They might cage someone in a room but they don’t need to fly to another continent to get the work, because so much of it can be done digitally. You can scan it and send it back. But in those days you couldn’t use a fax, the resolution wasn’t high enough, so physical pages had to be flown back to Japan by courier. Tezuka passed away in '89. He didn’t live to see Evangelion or Pokémon happen. Of course it’s difficult to speculate, but what do you think he would think to see what happened since then? He would be very happy. He’d be tickled to death. He’d also, I think, take issue with some aspects of the popularity of manga today, and would probably say that people have to push the envelope more in storytelling. But he would be thrilled. How could he not? It’s kind of like what he forecast, prophesied. The idea of simulcasting would have been pretty interesting to him. It would have been just incredible, incredible. Because he also saw manga and anime as a vehicle for — not to sound too idealistic — international peace. And he really believed in international communication. He believed that better communication was the key to world peace. In today’s world that sounds almost naïve. Do you have a sense for what his politics were? Well he was very anti-war, very anti-military. Most of the time he was outside of the system in a sense because he was a manga artist. Manga were not as accepted as they are today. So he was this highly intellectual individual working in a field that doesn’t have a lot of legitimacy like it does today. So in that sense he could comment on things as an outsider. He tended to sometimes stake out slightly different positions. Let’s put it this way: sometimes he would modify his positions a little bit depending on who he was talking to. But he was very anti-war, anti-military, that is through and through in all his life. And actually it’s not just Tezuka, but also everyone in his generation. It was an ideology. And actually, in my book The Astro Boy Essays, I talk a little bit about his politics. In terms of what I’ve written about, that’s as close as it gets. He had to shuffle a little bit as times changed. So Astro Boy was atomic powered, and of course most American fans didn’t realize that. Here’s Astro Boy who’s a robot who consumes these little uranium pellets. Later on, I do remember Tezuka talking about how he was going to come out with a new Astro Boy series, a color animated series. I actually acted as his peripheral sounding board for some of these issues. He wanted to change it from nuclear fission to nuclear fusion, because there’s no radioactive byproduct. And there are people who said that he shifted a little bit in his opinions about nuclear power. But you can also say that one thing about Tezuka that’s constant throughout his life is anti-war, anti-military, and distrust of authority. You could read some lightly anti-capitalist themes in some of his work, but it’s hard to say how much is just anti-authority. Well he occasionally drew things for Akahata, which is the Red Flag Newspaper, but of course in Japan the Communist Party is just a legitimate political party. They’re very mainstream in Japan. There are people in Japan who have written about Tezuka’s politics. And Tezuka sometimes changed depending on his audience. But he was very consistent in his anti-military, anti-war, and also in his stories, he was always siding with the little guy. 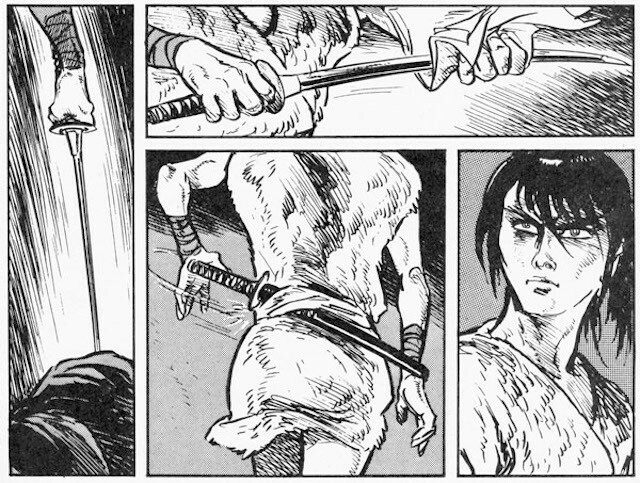 There’s been this roller-coaster ride of Tezuka’s reputation in the West. He went from being unknown to being known as the “Astro Boy guy” to it being almost reversed and people knowing him for super dark adult comics. How do you think he ought to be remembered? All of those things. But it was weird the order in which it appeared in the United States at least. And not only the time lag. It took so long for anybody to get the courage to bring out anything by Tezuka in the United States, so his stuff started coming out way late. And then you got this preponderance of material from Vertical, the dark stuff, so people started thinking, “well it’s only the dark stuff,” but of course, not only is there Astro Boy, but there’s Unico and there’s all this small kid stuff. Pluto’s getting an anime adaptation now! I love Pluto. I think Urasawa’s recasting of that episode from Astro Boy is just brilliant. I love it. It’s so well done. It’s been pretty rare that we’ve gotten good adaptations of Tezuka’s work. Pluto is one of the rare ones that's really good. Why do you think that is? I think one of the reasons is Tezuka’s stature. People who are given permission to do a remake of material, they feel so constrained, and you can imagine. It’s true with Astro Boy. 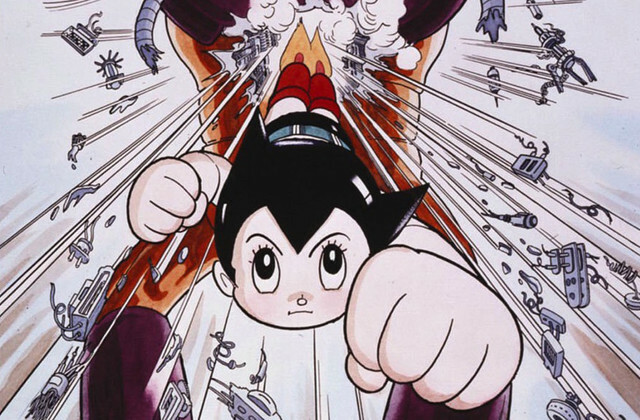 Astro Boy’s been made into anime and films in America, and it’s tough! I have a lot of sympathy for the director because you have these pressures from Japan, from family, from fans, they don’t want you to change anything. It’s so difficult to be given permission to rework something that everyone loves. I think Urasawa’s genius was to take that one episode of Astro Boy and blow it into this giant story and recast it for adults and different countries and it’s brilliant, it’s just brilliant. I think Urasawa was able to work really well with Tezuka’s son Macoto, and I think that Macoto probably really trusted him. And Urasawa of course is a manga artist of such huge stature in Japan today that he was able to push the envelope a little bit. But I do think he did a great job. I love that manga. I loved working on it. Both Jared and I worked on it. One thing I can say that is unique is, when Jared and I worked together — I think for Pluto we did it too — we actually divvied up the characters. I think very few translators do that. How did you divvy them up? We just selected characters. For Phoenix too, that’s how it was done. Most people don’t know that. The idea was to get different voices. But it’s pretty unusual. Speaking of translation: The Osamu Tezuka Story is huge! It has all those intertextual references and a lot of real history. What were the challenges of translating that? I did that all myself. It was so detailed. And for me the real challenge was the bibliography in the back. It was like 40 pages of micro print of everything that Tezuka ever touched in his life. And for that the problem is of course, do you translate the title or do you translate the theme or do you use an existing English translation if the English translation is wrong, and what do you use because maybe it was translated in 1950 when people’s English was not so good? There’s all these issues. For me the bibliography was the hardest part of all. It involved so much work I developed this chronic pain in my shoulder. Actually it’s just going away now. So I had it for a year and a half. I loved working on the book but the text is really small, there’s all these footnotes. Mechanically it was very difficult. The manga was so interesting for me because I actually appear in a couple places. And also there’s a certain period that it covers that I was there in real time. It was fascinating how Ban put that together because he’s working from photographs and interviews. It’s not what Americans think of as a straight “manga.” It’s what they call in Japan “jouhou manga” or “informational manga,” that’s why it has all the footnotes and all the cross-references and everything. There was also a lot of stuff that I didn’t know. I didn’t know the details of his trip to Easter Island. There were a lot of details that I didn’t know. And I learned through that book. Also it helped frame the whole history of manga for me. 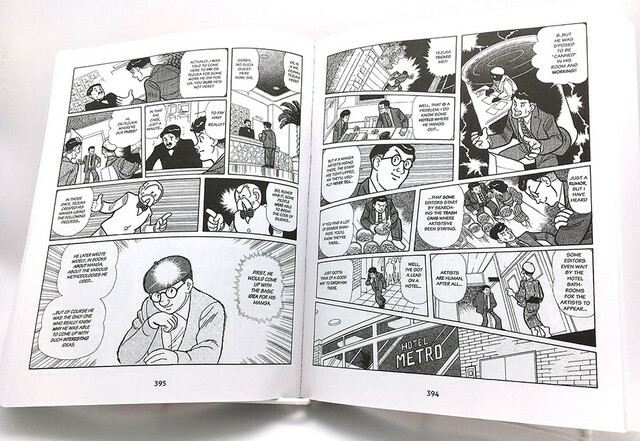 One thing that people don’t realize about Tezuka in Japan and in the United States is that it’s not just that he created these classic stories, but he created the framework for the modern industry. And the “Tezuka is Dead,” anti-Tezuka rebellion clique in Japan that was active several years ago, they tended to overlook that. Because the one thing Tezuka did, and you cannot deny it, is he created a framework for the industry. You create a manga and then that manga is turned into a 30-minute weekly anime series and then you get the feature films and this cascading merchandising and novels and everything. Without Tezuka, it wouldn’t have happened. Thank you to Fred for taking the time to chat with me and Michael Palmer from Stone Bridge Press for setting up the interview. You can find a full list of the books Fred has written and stay informed about his future work on his website. Evan Minto (@VamptVo) is the Editor-in-Chief of Ani-Gamers, a contributor at Otaku USA Magazine, the host of the Ani-Gamers Podcast, and a frequent anime convention panelist. Anime NYC 2017: Black Clover Giveaways and Premium Perks!